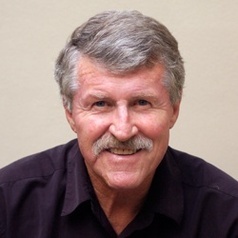 Professor Garry Egger is considered one of Australia’s leading authority on lifestyle and chronic disease. He provides counsel to the Australian medical community, Federal Government and the World Health Organisation. Prof Egger has written 30 books, and over 160 peer-reviewed scientific publications despite working as a consultant and running his own company for 20 of the last 30 years. Professor Egger was a member of the National Health and Medical Research Council Committee on the Prevention of Obesity in Australia, is the principal author of the initial NH&MRC ‘Clinical Guidelines for Weight Control and Obesity Management’ and has developed the National Physical Activity Guidelines for the Australian Federal Government and in the South Pacific for the World Health Organisation. He developed the world’s first men’s ‘waist loss’ program (GutBusters) in 1991. Prof Egger has run training programs in li8festyle medicine and chronic disease management for over 7,000 Australian clinicians and allied Healthcare professionals. In recent years he has moved back into clinical and community research and is currently the CI on a major project on Norfolk Island looking at personal carbon trading He is currently the Director; Centre for Health Promotion and Research Pty Ltd, Sydney, Professor (Lifestyle Medicine); School of Health and Human Sciences; Southern Cross University, Founder and Scientific Director; “Professor Trim’s Weight Loss for Men” Pty Ltd., Sydney and Clinical and Public Health Consultant in Weight Control, Metabolic Disorders and Lifestyle Medicine.